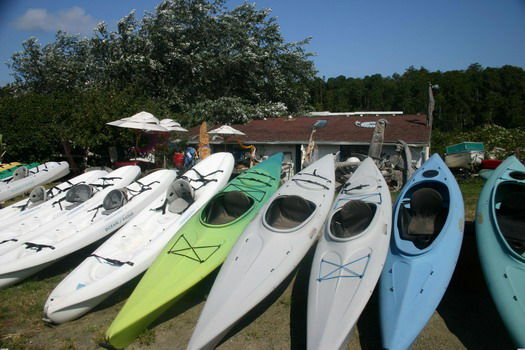 A more perfect water sport for exploring the San Juan Islands does not exist. 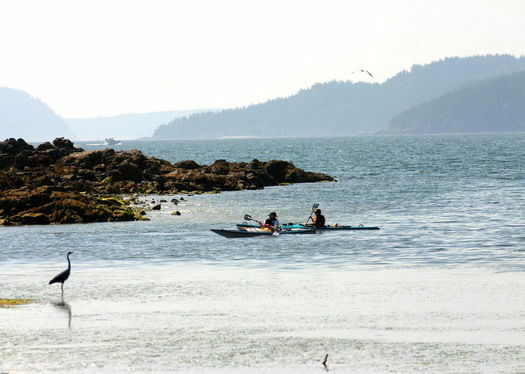 A sea kayaking tourbeaches their kayaks for lunch on the west side of San Juan Island. Photo: Crystal Seas Kayaking. Take a Kenmore Air Seaplane from Lake Union in Seattle or ride the Washington State Ferry from Anacortes along Washington's scenic byway to Friday Harbor. 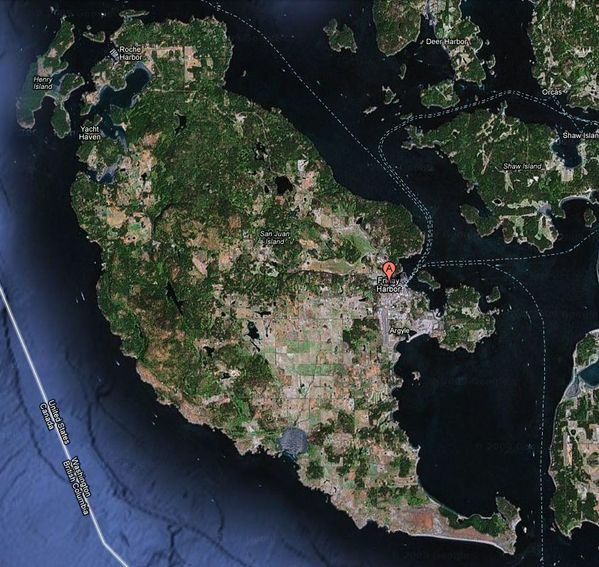 Once in Friday Harbor, check into one of the San Juan Island Bed and Breakfast Association's beautiful B&B's. Relax for a while and then after lunch aboard the Odyssey prepare for an amazing whale and wildlife cruise with San Juan Excursions. 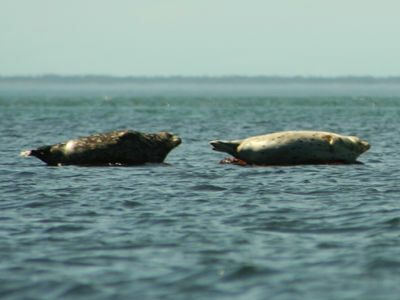 On this cruise aboard the Odyssey you will likely see bald eagles, harbor seals and orca whales in their natural habitat. This evening you can enjoy a special dinner made with locally grown food at the Coho Restaurant. Those with energy left can walk down the street and be sure to find some live music at one of the local watering holes. After dancing your socks off and drinking responsibly you can replay the days experiences on the short walk back to your bed and breakfast. Wake up bright and early to enjoy your complimentary breakfast and conversation with your knowledgeable innkeeper. 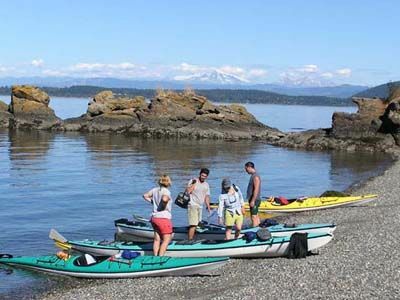 Crystal Seas Kayaking will pick you up this morning at the ferry terminal in Friday Harbor in their courtesy shuttle and then take you on a scenic drive to Mitchell Bay located on the west-side of San Juan Island for a guided 3-hour kayaking tour. 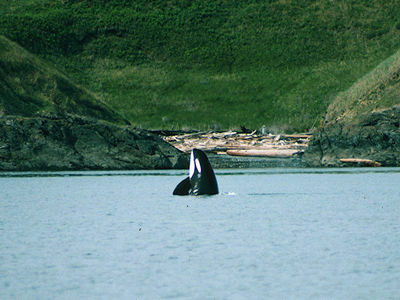 Listen for the blow of an orca, watch as eagles catch their prey and grab onto some bull kelp to take a break on the water as you listen to your engaging naturalist guide explain the delicate ecosystem of the San Juan Islands. The shuttle will return you back to Friday Harbor where you can explore the many galleries, seafood restaurants, historical buildings, museums, and WiFi equipped coffee shops. Pick up your bags and make sure your digital camera's batteries are charged for your seaplane flight back to Seattle with Kenmore Air Seaplanes. 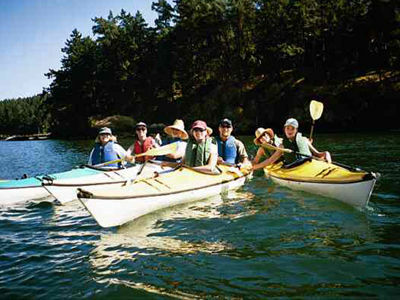 Friday Harbor Sea Kayaking Tours, Friday Harbour kayaking tours, kayaking Friday Harbour, Crystal Seas Kayaking, Kayak with Crystal Seas and experience the thrill of a life time! 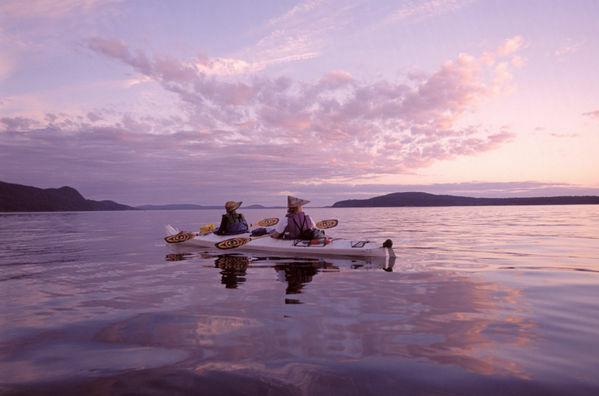 A kayakers’ paradise, San Juan Island is nestled between the snow capped Olympic Mountain Range and the Cascade Mountain Range. 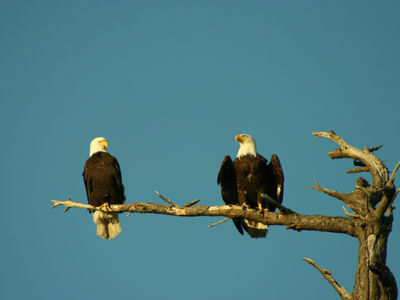 Witness unbelievable wildlife May through September. 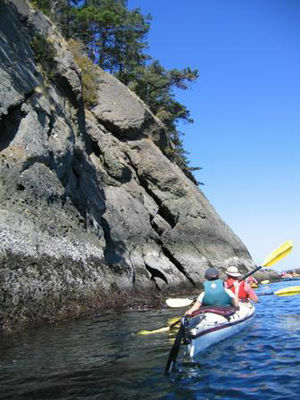 Our tours lead you along the rocky shoreline through.